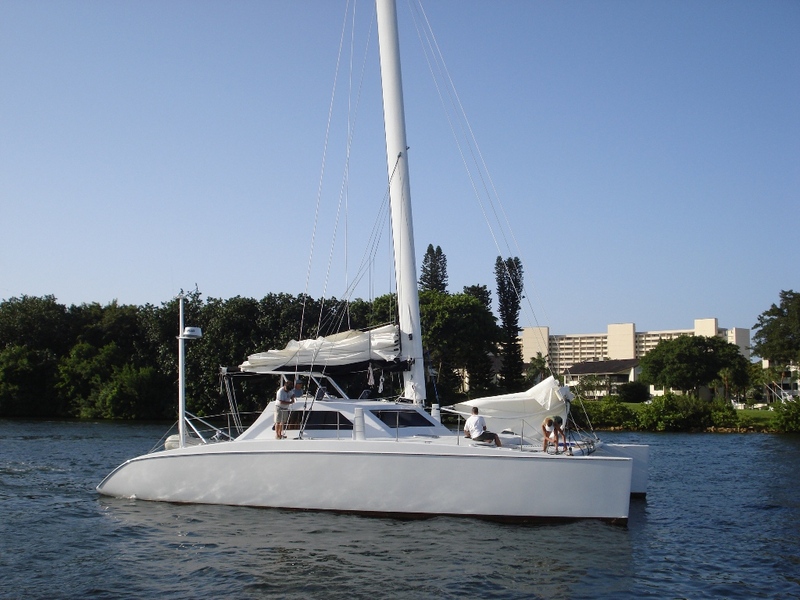 The Offshore 48 Catamaran Kit includes both port and starboard 48’ hulls and a highly detailed set of plans. The plans include building techniques that allow the builder to construct all components on a 4’ wide by 24’ long simple plywood table. The hulls are delivered empty so the interior can be finished as a private yacht or charter boat. Each hull is 48 feet overall length with a maximum hull beam of 4 feet 6 inches. A completed vessel at a weight of 13,000 lbs has a hull draft of approximately 16 inches. ​​This same vessel loaded to a total weight of 19,000 lbs, the hull draft would be approximately 20.5 inches. The hulls are constructed in a mold is a two-piece female type. The hulls are built in two halves and then jointed at the centerline. The Divinycell foam core composite hulls are built with epoxy resin. There is also heavy local reinforcement in high stress areas. The exterior of the hulls are supplied with an epoxy barrier coat which is ready to be final painted by the builder. For an additional cost, the hulls can be constructed to meet U.S.C.G. inspected vessel specifications. There are many options for crossbeam design, construction and composition. With this Offshore 48 Catamaran Kit, we can supply plans or we can build them for you for an additional cost. 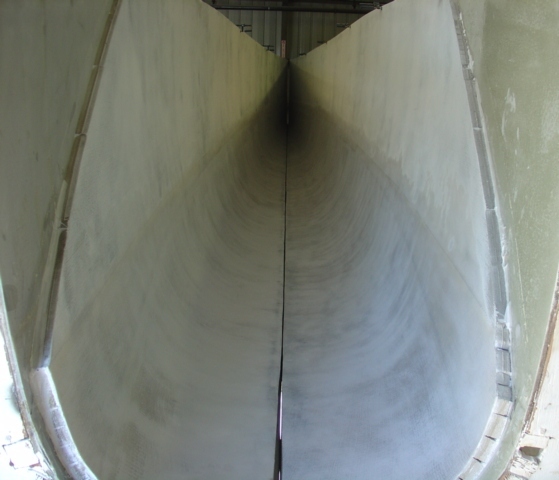 Crossbeams can be constructed out of a wood and epoxy system or of all fiberglass composite. ​Another option for crossbeams is the use of 6061T6 aluminum tubes with nets between the hulls. This is a quick, sleek option for the builder who may wish to build on accommodations at a later time. 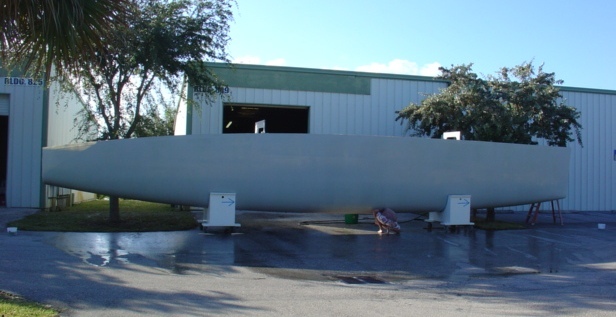 Keep in mind that Offshore Catamarans can design and fabricate any catamaran component, from the hulls kit to the complete boat. Please see www.OffshoreCatamarans.com for more information about the Offshore 48 Catamaran. ​The cost of the Offshore 48 Catamaran Kit starts at $80,000 USD plus shipping. Plan on spending an additional $50,000.00 for materials to complete the basic structure, plus the cost of the equipment (mast, sails, engine, interior, lighting, galley, etc). Call 561-714-9045 or email for more details.